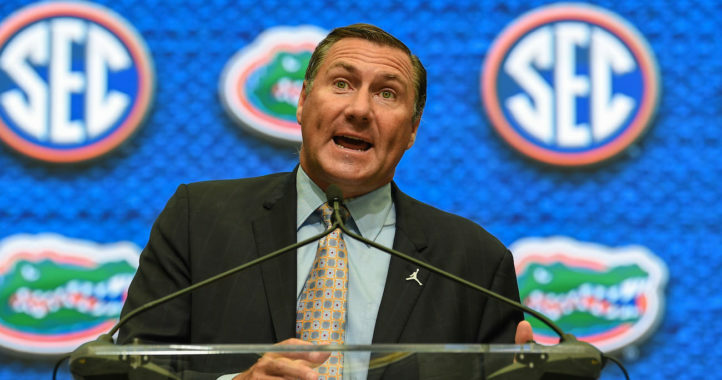 Some Florida fans were rubbed the wrong way by one of Dan Mullen’s post-game quotes Saturday after the Gators lost to Missouri 38-17. He was asked Monday about being frustrated or disappointed with the fans and clarified his comments. 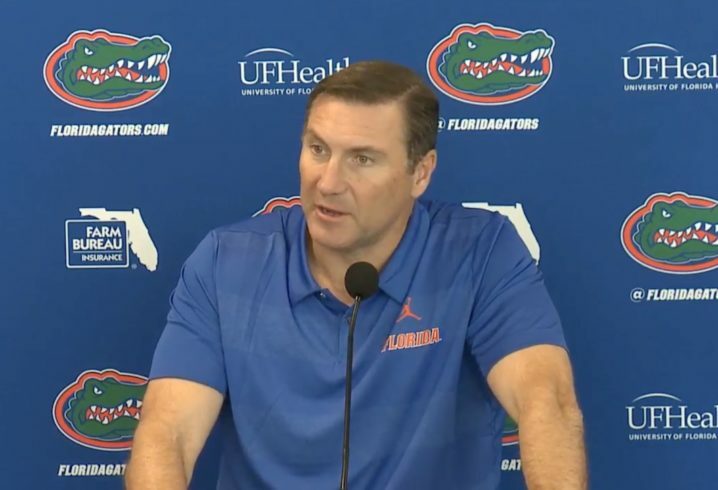 “I’m not disappointed in any of the fan base … I think they have really tried to buy-in since we got here,” Mullen told the local media in his weekly press conference. He elaborated on that, saying he sees fan support and attendance as essential to getting the program back to championship success. Regardless of Mullen’s pleas, attendance is likely to be down again Saturday when South Carolina comes to town. The SEC East has been settled and Florida has lost back-to-back games, two things sure to impact ticket sales. A noon kickoff with pregame tailgating opportunities limited to the morning won’t help either. It will be interesting to see if Mullen addresses attendance again come Saturday afternoon. Sounds like pruitts comments when only about 50k -60k (70k announced i think) showed up for the spring game. These new coaches just trying to set bars for everyone and everything. Well, at least Mullet’s honeymoon lasted longer than Zook’s. Yeah yeah, we won the East two years in a row while every other team in the division was down too. Difference is we knew we were overrated while you guys think you’re the next Bama. I guess that’s because we know what real success actually looks like. Enjoy getting blown out by Bama, and you’ll always have 1980. The ONLY reason they have 1980 is Herschel Walker. No Herschel, no NC…..not even close!! Dawg fans are the most delusional fans in all of college football. They haven’t done squat in almost 40 years, but somehow in their minds they’re the greatest most dominant college football program on Earth. Reality is going to smack them in the face real soon. Dan is right though, when SOS and Urban were winning championships the Swamp was always rocking and is a HUGE home field advantage!! It’s easy to like a winner. It takes no effort or character. Trust me, we at Gamecock Nation have more character than anybody! I have been a staunch supporter of the O&B through thick and thin. I am happy where Mullen has us right now given MacElwain’s lack of recruiting. Plan to travel down from the ATL for another game in the swamp. I do agree with Mullen regarding filling the stands which can help the program grow and be successful. 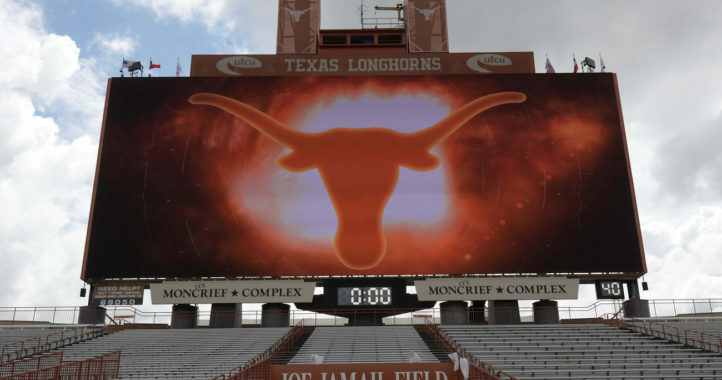 After all, top recruits want to play in front of big crowds and successful programs. Don’t get me started on our students. It would be nice if they showed up. I know it’s hard to travel the mile or two to the stadium, but make the sacrifice already. I have yet to see the student sections packed this year and that is pathetic. Especially when the student section used to be so packed when I went to UF that it was standing room only and we had to stand sideways to get more people in. Hell, we used to pass our ticket stubs to friends who could not get tickets to get them in the stadium. In all kinds of weather, we all stick together. So let me get this straight . The Gators cannot win championships until we , the fans fill up the Swamp. I don’t understand . Mullen is over rated and and a baby when things don’t go his way.